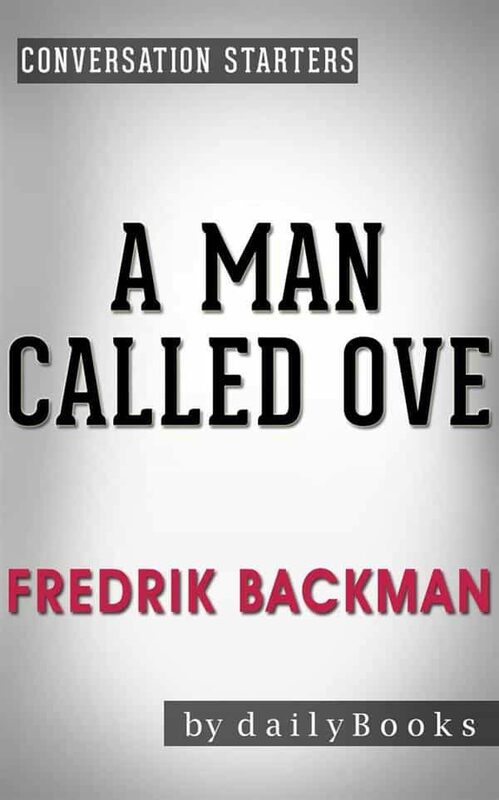 A Man Called Ove: A Novel by Fredrik Backman | Conversation Starters (Daily Books) There is a man who has lost all hope in life. He has been brought up to do the right thing, but has never been able to show much emotion. After the death of his beloved wife, Ove has no reason to live. That is until an Iranian woman named Parwaneh shows up next door with her clumsy husband and two adorable daughters. Gradually, Ove realizes that as much as he misses his wife, he could contribute something to society and, in turn, gain from other people. A heartwarming and simple story of a man who finds a purpose in life, A Man Called Ove is humorous and heartrending in equal parts. A Brief Look Inside: EVERY GOOD BOOK CONTAINS A WORLD FAR DEEPER than the surface of its pages. The characters and its world come alive, and even after the last page of the book is closed, the story still lives on, inciting questions and curiosity.&nbsp;Conversation Starters&nbsp;is peppered with questions designed to bring us beneath the surface of the page and invite us into this world that continues to lives on. These questions can be used to&hellip; Create Hours of Conversation: &bull;&nbsp;Foster&nbsp;a deeper understanding of the book &bull;&nbsp;Promote&nbsp;an atmosphere of discussion for groups &bull;&nbsp;Assist&nbsp;in the study of the book, either individually or corporately &bull;&nbsp;Explore&nbsp;unseen realms of the book as never seen before. Otros ebooks de Daily Books.